Friday September 14, 2018 - Former Finance Cabinet Minister, Musalia Mudavadi, has said President Uhuru Kenyatta is deliberately plunging the country into a financial crisis through excessive external borrowing. Speaking during an interview on KTN News on Wednesday night, Mudavadi who is also the Amani National Congress (ANC) party leader said the Government’s “insatiable appetite” for capital projects funded through international loans is not good for the economy. He said for the first time in Kenya’s history, our external debt has exceeded our domestic debt, a situation he said depicts worse days ahead. 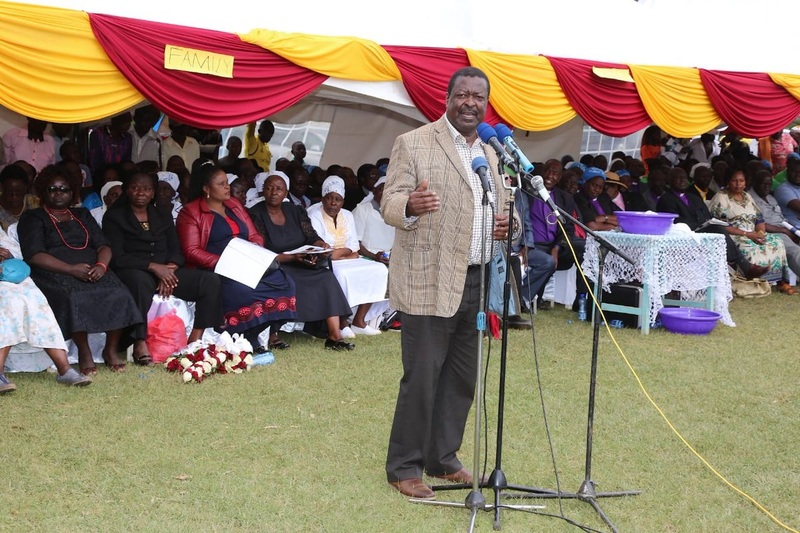 “All along during the Jubilee regime, we have seen a pattern where there is massive appetite for capital and big infrastructure projects that are putting excessive pressure on the people,” said Mudavadi. “Even in a private enterprise,, if you are a manufacturer you must have proper balance of equity and the debts. You need to finance development but you must not enter a scenario where the debts overwhelm the equity,” Mudavadi added. The ANC boss concluded by saying that the Government was broke despite putting on a brave face as it raids taxpayers’ pockets to service loans. “This has resulted to rapid and uncontrolled borrowing,” he said.